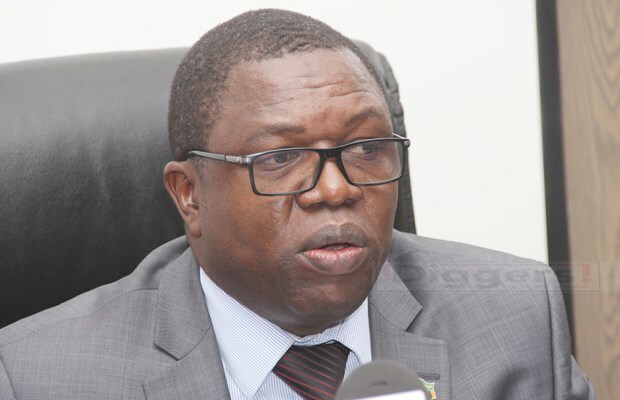 Minister of foreign affairs Joseph Malanji has ordered the Zambia Correctional Services to respond to revelations that he was once jailed for motor vehicle theft. 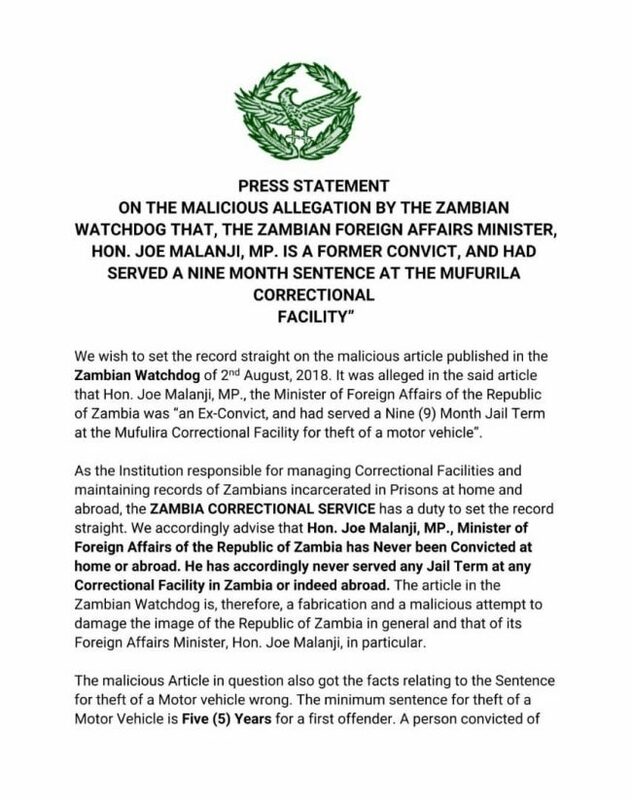 Some Lady calling herself Maggie Nawa the Public Relations Officer at Zambia Correctional Services today circulated a statement disputing the Zambian Watchdog story that Foreign Affairs Minister Joe Malanji is an ex convict on charges of theft of motor vehicle. In her attempted justification she says the nine months sentence we said Malanji served at Mufulira prison is not true as the sentence for motor vehicle theft is five years. She says the minimum sentence for motor vehicle theft is five years therefore since we said malanji served nine months then our story is not true. Here is our response. We do not know how old this Maggie is but let her be reminded that the person whose car Minister Malanji stole is still alive and she can ask him. Mr. Handson Sindowe was then the Mining Manager at Nchanga Division of ZCCM. He is now the major shareholder of Copperbelt Energy Corporation, Liquid Telecommunication and Hai Technology. Maggie Nawa who probably got her job through bottom power and does not know how to research can go to Addis Ababa traffic circle in Lusaka and find one nice buildings housing Liquid Telecom. Ask where you can find Mr. Sindowe. On the sentence of nine months, that is why we doubt the age and educational level for this Maggie Nawa and how she got her job. At the time when Malanji stole the vehicle, theft of motor vehicle carried a lesser sentence than today. It was Late President Fredrick Chiluba who made the offence become non bailable and have a harsher sentence. The reason was very simple. Chiluba wanted to ‘fix’ late Archy Macyribouy who was allegedly having an affair with Chiluba’s wife Vera. That is how this law was changed. Maggie should shut up if she does not know anything. That is the problem of employing some spokespersons who have never been in the Newsroom. We would like to take this opportunity to ask Maggie for some help. Where did Malanji do his Secondary School and Post Secondary education? Does anytime really expect the prisons authority to produce the criminal record of a serving minister, in Zambia? 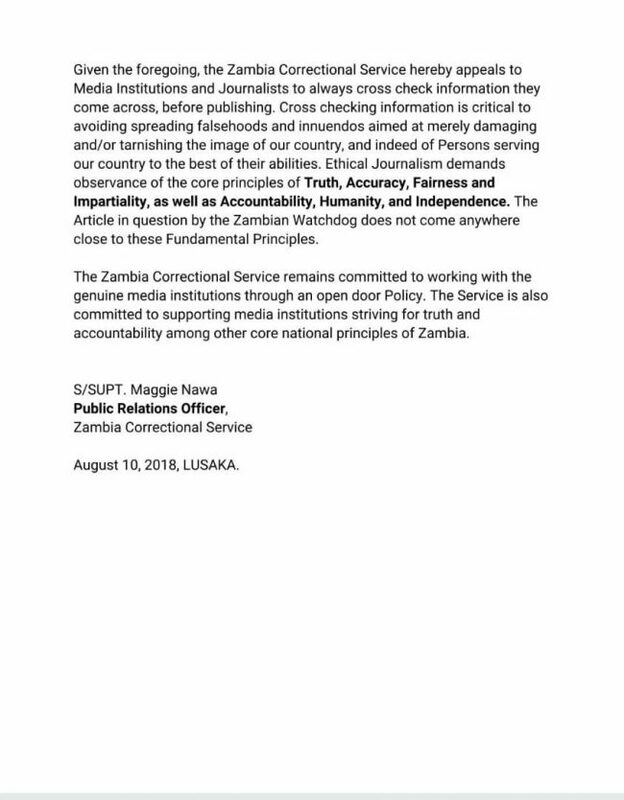 In any case, does anyone expect the Zambia prisons authority to keep any accurate record of criminals? That will be a miracle. As for Malanji, you will not hide your past crimes by abusing government institutions. Time will catch up sooner or later. We know how these things work. Today you might feel important and untouchable, but chickens would surely come home to roast as they always do. You see, issues around you are increasing. You stole property from Baldwin Nkumbula’s widow. You stole a car from Sindowe. But most important, you gave false information to a public officer in that you, an Angolan refugee is purporting to be a Zambian; you acquired Zambian identity documents by fraud and giving false information to the ministry of home affairs. This crime will not vanish by using Maggie Nawa to insult us. If young musician Mumba Yachi, who made tremendous artistic contributions to Zambia can be deported after so many years of pretending to be Zambian, what more you who is just stealing tax payers money. Like we said already, we are patient. We shall wait.